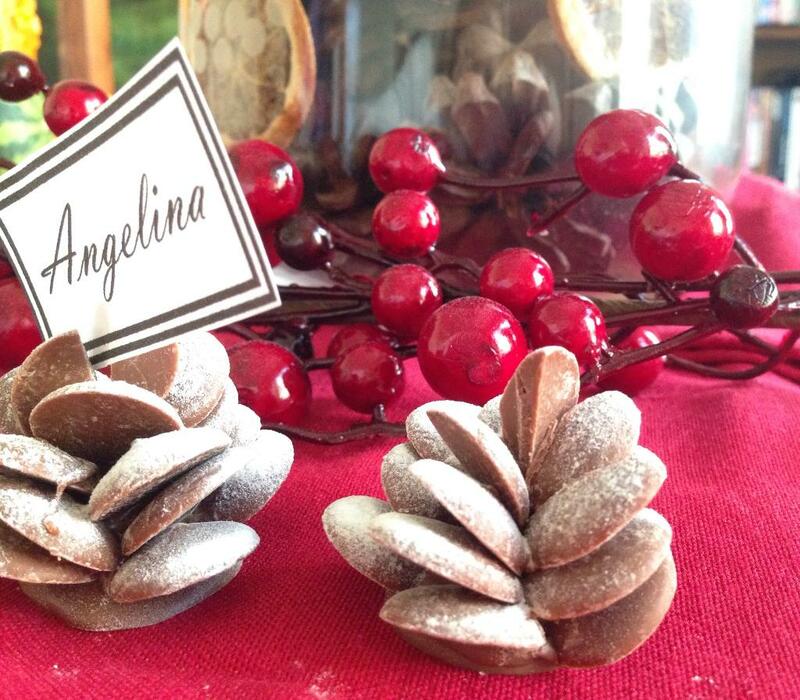 The beauty of these edible chocolate pine cones, apart from them just being beautiful to look at, is that you can give them as a gift, or use them as place card holders for dinner on Christmas Day. Oh yes, they are also yummy too… of course. 1. Put a small amount of chocolate in a microwaveable bowl, heat it in 20 second intervals in the microwave, stirring each time, until the chocolate has melted. 2. Spread a teaspoon of melted chocolate onto a sheet of greaseproof paper, so it makes a disc about 2-3 cm (1 inch) in diameter. It doesn’t need to be a perfect circle. Put it to one side to set a little. 3. 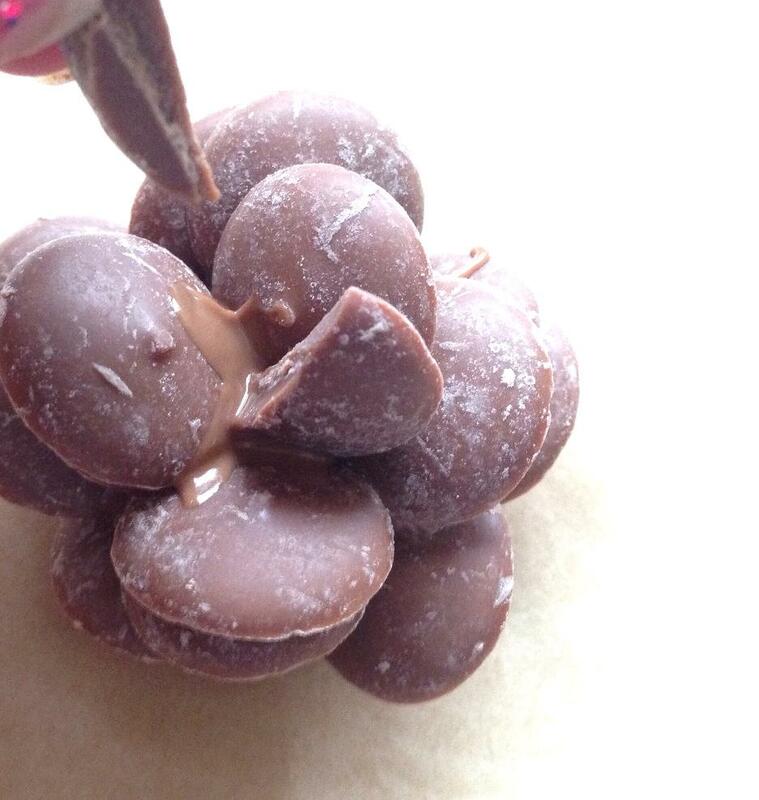 When the chocolate is soft set–it won’t move but isn’t set hard, almost bendable–you can start the next stage. Re-melt the chocolate in the bowl, if needed. 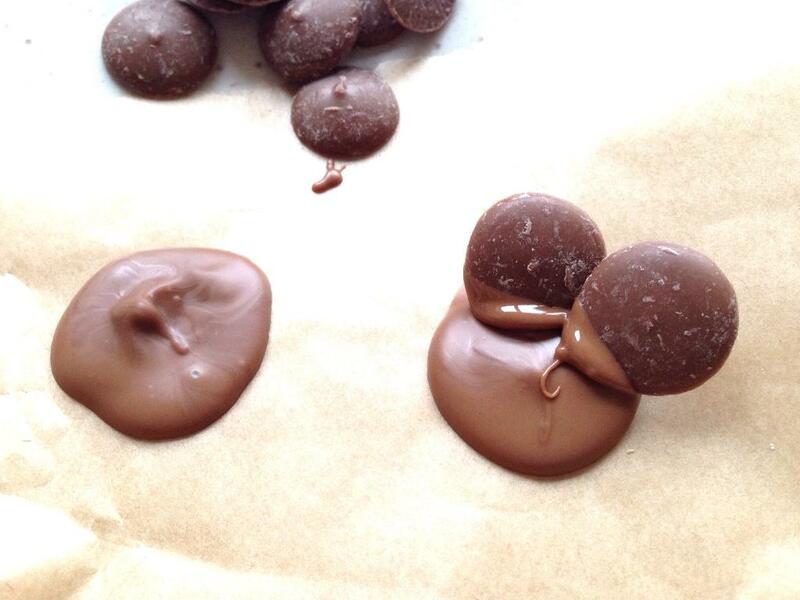 Pick up a chocolate button and dip one end into the melted chocolate. 4. Push the button into the chocolate disc on the paper, at a slight angle. Continue going around the disc doing the same thing–the first layer will probably be about 4-5 buttons. 5. Do the same with the second layer, with this set of buttons inside the first set, and overlapping a little. Continue in this fashion until there’s little room left in the middle. 6. Cut a couple of buttons in half. Dip these into melted chocolate, as you did before, and place these vertically into the centre to create the point of the cone. You can use anything from 1-3 halves to finish off the cone. Leave to set. 7. Peel your chocolate button pine cones from the paper. You can give them a dusting of icing sugar snow to make it look even more wintery, or leave them naked and natural. 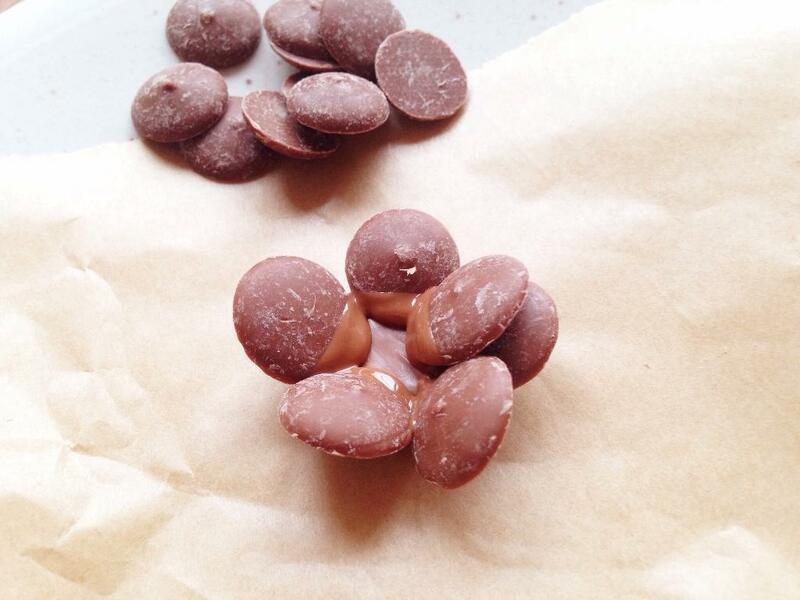 If you have any melted chocolate left, then don’t let it go to waste–I know none of you would waste chocolate!–you could make some jazzies. Click on the pic below for full instructions–it’s easy!